With the end of August 2016, the Service Prototyping Lab (SPLab) finished its first year of operation. The applied research lab contributes to a better understanding of Software-as-a-Service (SaaS), cloud-ready and cloud-native applications, industrial domains for hybrid cloud applications (e.g. Cloud Robotics) and prototyping techniques to rapidly bring new complex Internet services to the market. Coming now into the second year, we’re even more ready to act as innovation partner with scientific work techniques to Swiss and European companies and research institutions. Saken is an intern at the ICCLab,InIT ZHAW. He is working on the Distributed Computing in the Cloud initiative. 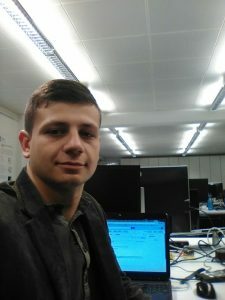 He joined the lab through the IAESTE internship program. 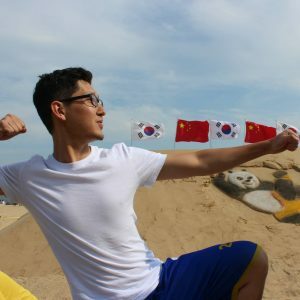 He is pursuing Bachelor’s degree at Ulsan National Institute of Science and Technology (UNIST), South Korea, majoring in Computer Science and Engineering and Electrical Engineering in minor, and has just finished his third year of study. After the internship he will finish his final year of study and graduate. Prior to coming to the ICCLab, he did an internship at USIS Co., Ltd in a R&D Team. There he developed a Web Service based on ASP.Net as well as an iOS application that consumes this service. He also developed an Android application which uses iBeacons to find user’s indoor location. He is Co-Founder & ex-CTO of the “Hello Halal” start-up – 2nd place winner of the Start-Up competition held by UNIST Business Incubation Center (BIC), where he developed an application for both iOS and Android. He was also responsible for technical development and planning.